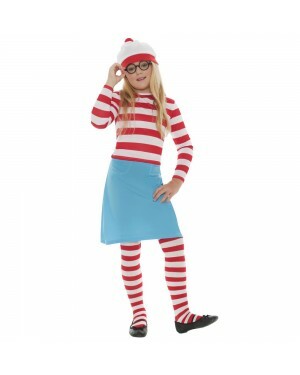 Where’s Wally Wenda Costume with Top, Skirt, Tights, Glasses + Hat! Perfect for Character, 80s - 90s and comedy themes! 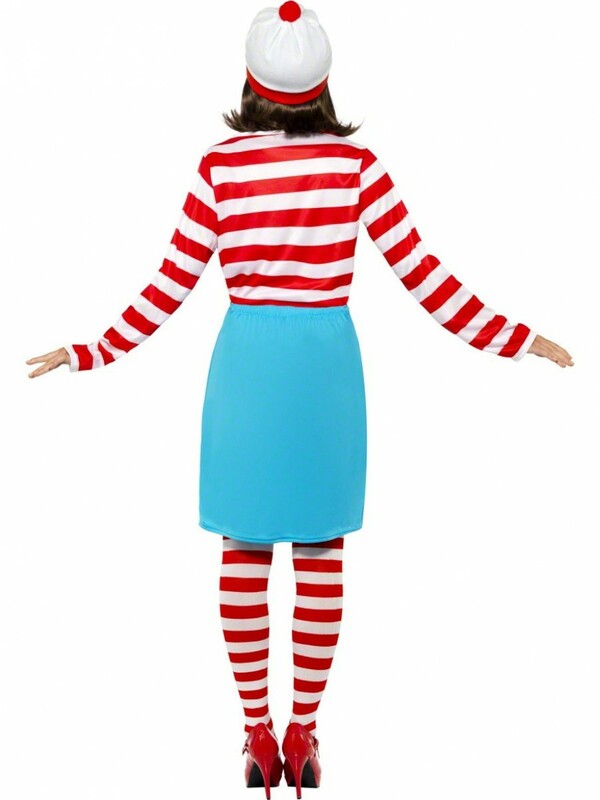 An official licenced Wenda costume – which includes everything you need to become this fun book character! 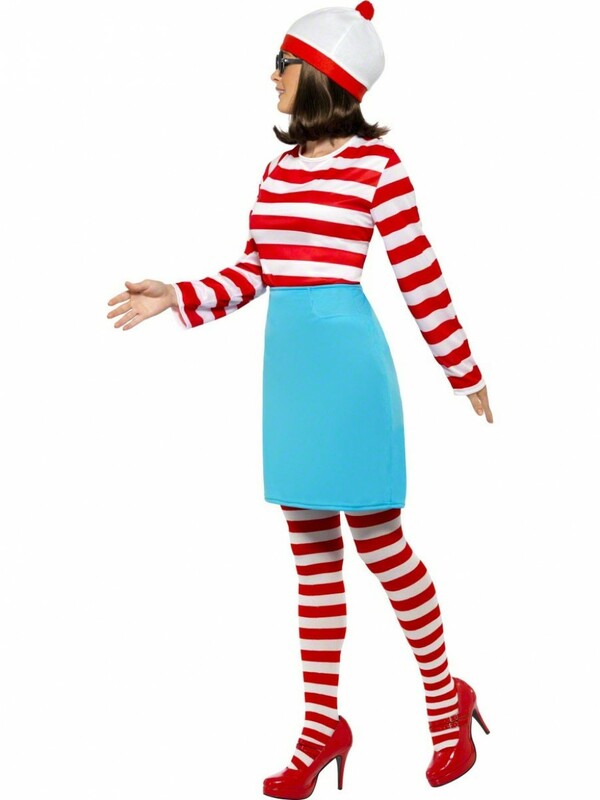 The five piece outfit includes Top, Skirt, Tights, Glasses and Hat – all in the classic blue, red and white famous design! The outfit is in a soft and lightweight material, and the skirt has an elasticated waist for further comfort. The hat is in a soft felt material, with fun bobble detail. 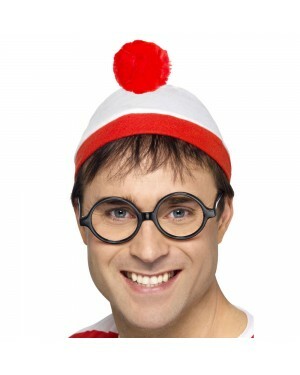 To complete the look a pair of tights and glasses (no lenses) are included! A very popular group outfit and perfect for 80s – 90s or character themes! The costume is available in sizes Extra Small to Medium. 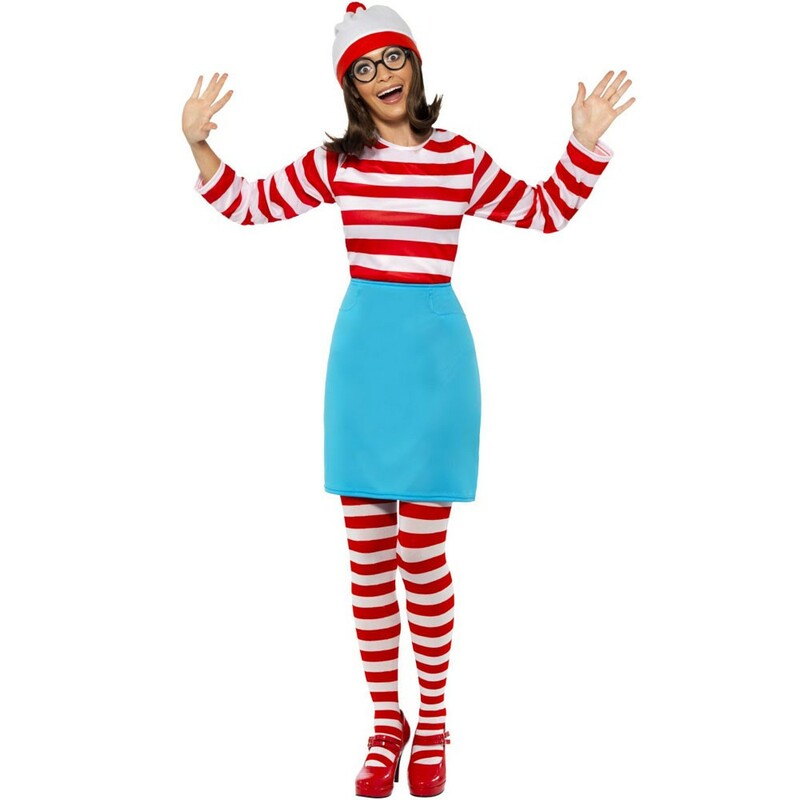 Five piece costume which includes Skirt, Top, Tights, Glasses & Hat.